Avaaz - US Government: Fast-Track African Lions as Endangered! US Government: Fast-Track African Lions as Endangered! Fast-tracking a listing of the African lion under the Endangered Species Act would immediately boost the survival chances of the iconic big cat, by generally prohibiting the import of African lions and their parts into the US unless they serve a legitimate conservation purpose. As concerned citizens, we urge you list the African lion as endangered without delay! A 13-year old lion named Cecil was just lured outside of a national park in Zimbabwe where he lived under legal protection. He was shot with a crossbow and rifle, then beheaded and skinned. 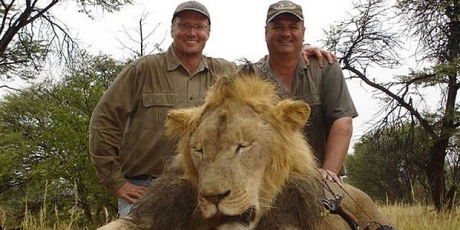 The hunter who paid over $50,000 for the kill is a dentist from Minnesota. Experts say lions could be extinct in the wild in our lifetime, and the US is partly to blame. The number of lion trophies imported by American hunters has skyrocketed, doubling between 1999 and 2008, and there are no sanctions in the US for hunters like the dentist who killed Cecil, because lions aren't listed under the Endangered Species Act despite a recent government recommendation. Right now, the Fish and Wildlife Service is considering a petition to list lions as endangered, and a massive outcry from across the country could speed up the process and start saving lions now. Sign now and recruit others to join on Facebook, Twitter, and everywhere else!